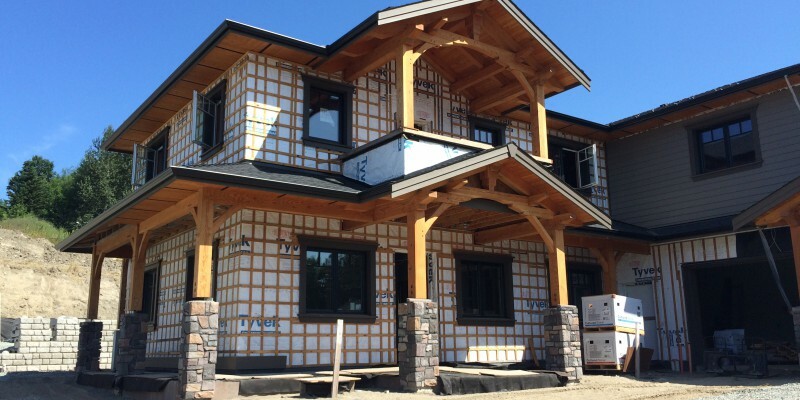 November 2015 - Sonbuilt Custom Homes Ltd. Ventilation – Make sure you have fresh air circulating in your home. Ensure paint is dry and cured – While it’s exciting to set up a freshly painted room, ensure that paint is dry and cured before using it. Change that shower curtain – Rotate your shower curtain regularly and avoid ones made from vinyl as they do become moldy quickly. As a builder with 20 years of experience in building custom homes, you could say we know a thing or two about the construction industry. We’ve weathered some storms, seen some good and bad, and are happy to say we plan to be around for quite a bit longer. The construction industry is changing. Technology, new ideas, and improved products are just a few of the factors contributing to the change. As a generation we are becoming more concerned about living in healthy homes, energy efficient homes, and durable homes. While cost continues to be a high priority, so does living in a home that doesn’t make us sick and tired. Building a better home, a more efficient home, can be slightly more complex than a conventionally built home. Those of us with experience in building air tight homes can honestly say a house is a system. If you seal a home up, you need to make sure that home can breathe too. A home that doesn’t have fresh air circulating is an unhealthy home. Trends come and go. Right now, building energy efficient, green, and sustainable is popular. It’s a good trend. We hope this trend becomes the norm, because building energy efficient with earth friendly products is better in so many ways. If you decide to build a home and wish to build an energy efficient home, do your homework on your builder’s qualifications. Choose a builder who stays current in training and is up to date on his or her knowledge of the products going into your home. A relationship between you and your builder can strain quickly if you discover part way through the construction experience that some aspect of your home was not thoroughly researched nor understood by your builder. Do your research and ensure your builder has experience in building the type of home you want. After all, this is likely your biggest life investment!